And so do I – love the taste of a good old-fashioned American cheeseburger – nothing beats that. The only thing I disagree with Samuel L. Jackson’s character is the choice of the drink with that burger. Sprite with a burger – really? To me the drink that “hits the spot” with a burger is a Coke. I decided to start watching the “100 Movies” list with Quentin Tarantino’s Pulp Fiction – DVD which I actually own. Though I have not watched it for years. 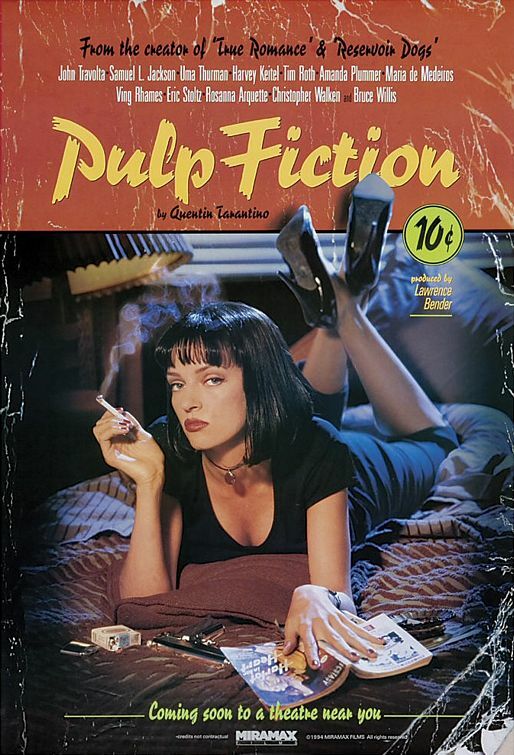 Pulp Fiction is considered one of the most influential films of the 1990s with its pitch-black humor and pop-culture touchstones. The film has withstood the test of time — and I think will continue to do so even though a five-dollar milkshake is no longer a joke. What’s so special about foot massage? Once again I was reminded how clever this movie actually is. It is violent like all other QT’s movies, but it is so cleverly written and shot that it holds you from the first scene to the very last. All the main characters are believable and fantastically delivered. They are no saints by any means, but they all show a little bit of vulnerability and – that much talked about – likeability factor. I especially love Samuel L. Jackson’s bible-quoting mob hit man Jules Winnfield. Now there is a man with a mission – obviously his mission drastically changes during the movie. The story unfolds through many twists and turns like a puzzle, which in the beginning might not make any sense but at the end paints a clear picture how all the characters’ lives are intertwined with each other and how one little action causes a ripple effect that changes everybody’s lives. The movie starts with a scene in a coffee shop in which a young couple – Honey Bunny and Pumpkin – discusses how to better their lives by choosing smarter places to rob. After Pumpkin points out that nobody ever robs coffee shops [yes – wonder why?! ], they decide to act on that impulse and rob the place they’re in. From that point on when Pumpkin jumps up waiving his gun around and shouts, “This is a robbery”, you know that this can only go one way – from bad to worse. So clever is the storyline that you find out only at the end of the movie how that situation is dissolved. QT himself has been quoted saying that Pulp Fiction was always meant to be a comedy. It does have comedic undertones throughout. But for me the most comedic scenes are in “The Bonnie Situation” towards the end of the movie. 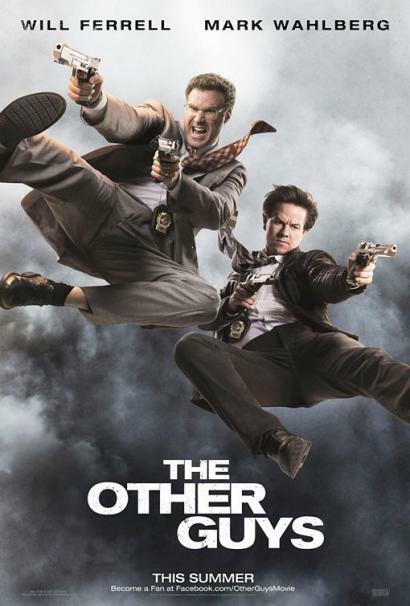 “The Bonnie Situation” starts with the unfortunate event of Vincent [played by John Travolta] accidentally shooting Marvin in the car in broad daylight while they are driving thru the Valley, where the all-around bad guy Marcellus Wallace, for whom both John Travolta’s Vincent Vega and Samuel L. Jackson’s Jules Winnfield work, has no friendly places. Even the whole premise of the situation that develops from now on, is so absurd that this does make you laugh or at least grin. Who can watch without laughing the last scene when Vincent and Jules walk out of the first scene’s coffee shop wearing t-shirts and shorts while stuffing their guns into their shorts and still managing to look badass?